There are just way too many bars in Sydney—said no one ever. Don’t blame us for not cutting down this list and making it extraordinarily shorter. 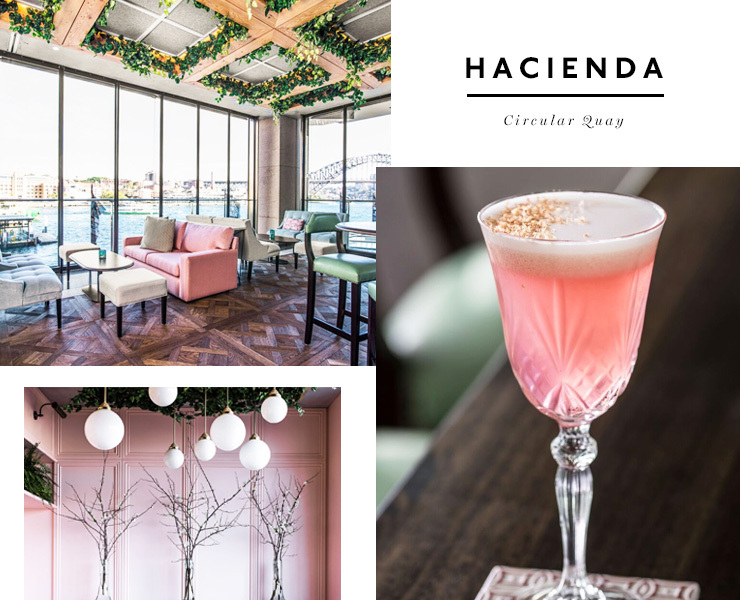 You know it and we know it, the heart of the Central Business District is a wonderful pool of tipple shared across rooftop bars, hidden alleyway nooks, bustling waterholes and subterranean hideaways. If only you know where to look. Luckily, that’s what we’re here for. To let you in on the big fat secret—all of Sydney’s best CBD bars. Restaurant Hubert is the type of fab drop of positivity that is always upping its booze game. Meet Bridge Bon Appetite, the latest addition to Restaurant Hubert overlooking the main dining room that has one mighty fine revolving cocktail menu. Hint: it’s perfect for a small group. We’re suckers for anything involving a rooftop so please give one warm welcome to the rooftop pool bar (and yes, you can actually swim here) Level Seven. Mixing a good (nay great) view, fairy lights, cabanas and all the tipple you could ever want, the only thing this place is missing is… actually, it just about covers everything. CBD bars don't come much prettier than this, guys. You’ll be doing a touch of hunting for the Ramblin’ Rascal but just like all things that come to those who wait—it’s damn good. Especially when a killer whisky and cognac collection is up for grabs (not to mention this underground den reels in one helluva crowd). 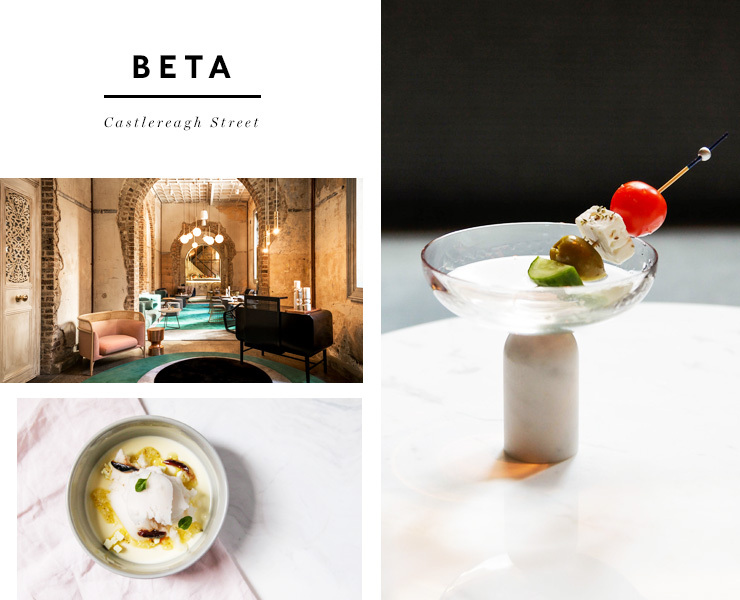 Beta is the Greek mecca of the CBD and this luxe bar is the epitome of what your Friday night post-work drinks should be. For a glass of bubbly, a flashy concoction or some marble adorned glassware… this is fancy AF on a whole other level. And you Beta get on it (not even sorry). Hold up, there’s a tall and majestic looking absinthe tap we’re low-key obsessed with. Papa Gede’s is paying homage to the success of tiki-inspired and tropical cocktail bars in Sydney and between you and us, it’s nailing it. We all know that basement CBD bars are the epitome of fun and we guarantee you’ll be a sucker for the quirky atmosphere at Stitch. The entrance may or may not be a little hard to find (as the name suggests, the bar front takes the facade of a sewing shop) but we know you’ll keep on searching because like us, you have an insatiable thirst for delicious pub grub and novelty cocktails. Here’s looking at you fluffy Britannica, decked out with Bombay Gin, Aperol, garden syrup and tonic. Grasshopper is vexed with a cheeky and perfect combo of Kung-Fu and cocktails (we’re not complaining). The walls are decorated with Karate Kid posters and there’s a collection of vinyl and black and white TVs. Just so you know, the crew here whips up these wonderful things called teddy bear jars and yes, you need one. Just think of this place as kidult heaven. Yep, it’s the kaleidoscopic cocktail corner nook (try saying that really fast after a few drinks) churning out colourful booze taking the form of the bright orange yogi punch with breakfast rum, strawberry, coconut, Ayurvedic spices and split yoghurt. But TBH we don’t really care what’s in it when it looks THAT pretty. Hubert is the weeknight drinking joint that secretly saved all our cocktail-craving souls. It’s dimly lit with all the mysterious feels and live music, and if it weren’t for the staff who gently nudge you along at 1am, you’d probs stick around forever. When there’s a solid wine list packed to the rafters with 5,000 wines (that’s no hallucination) and insanely good feeds inspired by the delicacies of Northern Spain, you really can’t go wrong at Balcon by Tapavino. Uncle Ming's has brought downtown Shanghai to Sydney CBD and with it some of the best dumplings in town (because beer and dumplings, duh). Throw back a few American pale ales and dig into one memorable feast, we dare you. This kickass cocktail bar transports you all the way back to the Parisian vibes of the 1940s. Indulge in all the rye and rum at Kittyhawk with a menu that is a seriously entertaining read with diagrams of how every drink is made (get the pebble lane, you won’t regret it). And don’t get us started on the chargrilled octopus with dill and olive (it’s amaze). It’s probably the only time your friends will agree to come down into the basement of the city’s corporate towers and don’t worry, it’s a lot less dodgy than it sounds. Cue Lobo Plantation, the South American joint serving up tropical rum cocktails (and FYI the menu has over 250 kinds of rum). Night or day, the enclosed rooftop bar at The Rook is one of the best places to go to get your drink on. With a glass ceiling studded with bulbs, hanging plants, neon lights and all the bric-a-brac ever, you’ll score yourself a pretty spesh view of Sydney’s corporate sky-erarchy. Much of the drinks are interactive AF (so the kidult within will have a ball) and there’s a super pretty purple one you need to get on, stat. Lot. 1 is arguable the closest you’ll come to Italy without actually buying a plane ticket and they have an aperitivo hour so legendary we hear the Italians are moving in (well everybody is, really). This is our go to for an Aperol spritz along and the brilliant wine list and crazy ceiling installation could have you easily feeling as though you’re in New York City. Prohibition has never looked this damn fine (or delicious). Palmer and Co. is hidden down a narrow laneway in Sydney’s CBD and hot tip: the cocktails are always on point. We can’t go past an espresso martini when we find ourselves in these parts and you absolutely need to try the charcuterie plate, with extra bread (duh). The Baxter Inn is hanging out beneath an alleyway just off Clarence Street but you’ll be hard pressed to find someone who doesn’t know about this legendary old-school whisky bar. In true speakeasy fashion, the liquor collection is a dream and staple cocktails are on point. No biggie but Assembly Bar is kind of the cool kid inside the cocktail world and they win awards non-stop. Think Island Nights concoctions with fresh pineapple juice, coconut, lemon curd, aromatic bitters, and Bacardi Superior. Yeah, try and top that. Half Cuban plantation, half city-scape—now that’s one helluva combination. If getting your Sunday sesh on in what is basically a giant glass terrarium with views of the Harbour Bridge isn’t on your bucket list, it really should be. Tucked around a corner off George Street is one of the best European inspired bars in Sydney’s CBD. This is where you go to drink al fresco style when the nights warm up or to get cosy under a heater on a winter’s eve, just like the Europeans do. Perhaps one of Sydney’s smallest cocktail bars, Bulletin Place proves that size is not important when it comes to making some of the best cocktails in town. These guys are constantly at the top of everyone’s list when it comes to a failsafe go to for cocktails, so head down and check out the butcher’s paper menu for their daily delights. Edinburgh Castle will change everything you thought you knew about one of Sydney’s oldest CBD pubs. You’ll feel like you’ve stepped right into good ol’ London town making it the perfect place to spend a few hours, grab a glass of sparkling and tuck into their Aussie-inspired menu. Or, you know, just have another drink from their entirely Australian wine list. Rooftop bars are always an absolute winner, but when they overlook the harbour, they suddenly become the best Saturday night situation you’ve had all month. Zephyr Bar will be pumping come summer, but we still recommend you head here during the cooler months as well—we promise that the barrel aged cocktails will make it worth your while. Oh and the food menu that’s infused with wine AND rum (yep) won’t disappoint, and they even have blankets to keep you cosy AF. Three Bottle Man has got your back, with a menu that features monthly picks from the sommelier and an Australian-only drinks menu. ‘Nuff said. We’ve got two words for you: retractable roof. Which means rain, hail or shine, your booze fest will be happening at Taylor’s. Yep, lounge around with all the drinks and a giant wall of plants in this urban retreat regardless of the forecast. If fairy light-filled courtyards and epic toasties sound like your jam, then you’ll want to hit up SILY this weekend. And don’t you dare leave without trying at least two of their fab cocktails. While you're at it, here are 18 of Sydney's best hidden bars.